Highly qualified team with over 35 years of experience. Our commercial moving team in Montreal offers you a corporate relocation without worry. 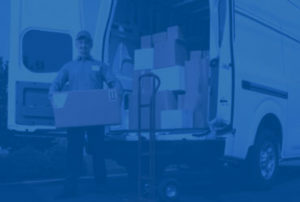 Throughout the years, we have become office and commercial moving specialists. Every year, Déménagement Performance moves about 300 companies from different areas of expertise. Call us to schedule your cost estimate for your corporate relocation project. Our experts will be happy to meet you for a free evaluation of your move. Plani-Gestion Immo Inc. (Several mandates for credit unions) Installation of filing cabinets, shelves and packaging as well as relocation / reorganization. Service de Police de la Ville de Montréal (SPVM) Several moves andreorganization of neighborhood police stations and Headquarter. JCB Construction For over 20 years, many types of moving : art work, antiques, filing cabinets, packaging, etc. Our commercial moving experts hold more than 35 years of experience in the industry and will ensure that you receive a professional and high quality moving experience. Our project managers will offer a complete coordination of your Montreal move. They will ensure the proper planning and execution of your commercial move to guarantee a worry-free commercial relocation. – Management of the collateral of multiple stakeholders (elevators, telephones, computer network, etc..). Moving an office or a company does not have the same impact as a residential move. Firstly, we must complete the move in less time so as to not disrupt the current work activities. Then, since sophisticated equipment such as computers, photocopiers, equipment for operating rooms or other types of equipment is involved; our movers must take exceptional precautions in handling this equipment. To learn more about our team, visit our section dedicated to our experts in Montreal and the surrounding area moving. I just wanted to thank you for all your help and support during our move. Everyone from your company has been very supportive and helpful during this time. Everyone worked so hard to make sure that our move went smoothly. We wanted to let you know that the move went fine, your guys were abolutely professional, efficient, organized, repectful and they all worked very hard. Thank you for the peasant service! I wanted to tell you the exemplary professionalism and efficiency of your team. They were excellent. We also offer an installation team for the disassembly and reassembly of your office equipment. With our turnkey solution, not only do we handle the relocation, but also the complete re-installation of your offices. Call us to schedule a quote of your commercial relocation project. Our experts will be pleased to meet with you for a free evaluation of your move.